No one ever wants to lose most or all of their teeth, but sometimes life has things in store for us we don’t quite expect. If you have lost most or all of your teeth there are options to help you and Dr. Taylor and his team in Rock Springs, WY, have helped many patients get their smiles back on track. One of the very best options for those suffering from severe tooth loss is dentures. Dentures are a proven technology for the replacement of missing teeth and have helped countless patients across the globe to restore the beauty of their smiles and to be able to the get back to eating foods they love. Traditional dentures | Time continues to prove that traditional dentures are an excellent tooth replacement option for many of those suffering from tooth loss. At Sweetwater Dental we offer beautiful custom-made traditional dentures for our patients that request them. Implant supported dentures | Implant supported dentures are the new kid on the denture block but have already proven to be a versatile, and permanent solution to replacing missing teeth. 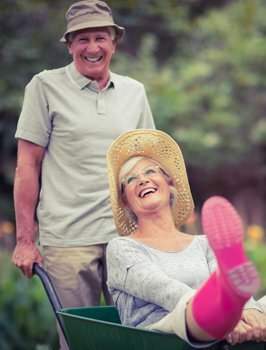 Just like traditional dentures, implant supported dentures are custom made for the patient who requests them, however, unlike traditional dentures, they are not removable, and are permanently anchored in your mouth which makes it so they are more secure, more comfortable, and even better looking. Whatever the denture option you choose for you, our team will do their very best to get you the results you desire. We are proud to offer denture solutions for our patients with tooth loss because we know what a difference having a working set of teeth can make! Have more questions for us about the dental treatments we can provide? Contact our Rock Springs team today!